The non-traditional exports sector is an essential part of Ghana’s international trade. It’s so important that the Ghana Export Promotion Authority has set a target of $5.3 billion earnings by 2021. 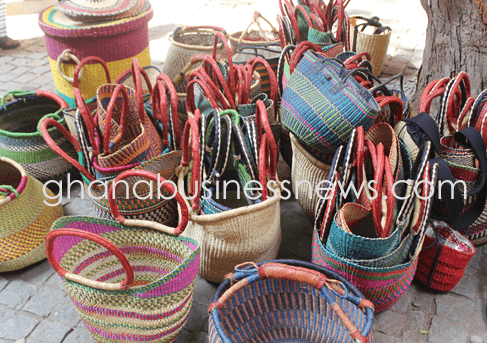 One of Ghana’s prized exports to the German market for some time, has been the Bolga baskets. But Vietnam has overtaken Ghana in that department. While the market liked the products from Ghana, Ghanaian producers, were unable to meet demand. The process of production is demanding and slow – mostly handwoven. The Vietnamese reportedly took some Ghanaians to Hanoi and got them to teach them the craft. Speaking at an event in Accra, organized by the German trade exhibition organizer, Messe Frankfurt, in November 2018, Mawuli Akpanyo, the CEO of Delata said Ghana shipped the first container of Bolga baskets to Europe in 1999. “30 containers were shipped,” he said. He however pointed out that, sooner than later, Vietnamese people copied the basket. “They were using sea grass and they took over the market,” he said. While the Vietnamese could produce high volumes and in time to meet the market’s demand, Ghanaian producers couldn’t, and as a result, they ceded the market to the Vietnamese producers, Akpanyo said. He was however optimistic that, Ghana’s producers would soon recapture the market.